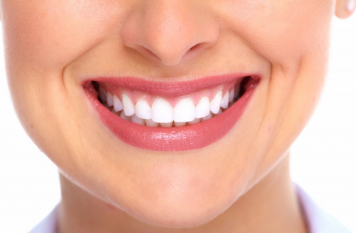 White teeth are one of the hallmarks of a great smile. But it’s hard to keep your teeth white when what we eat and drink tends to leave stains on our teeth. And as we get older, our teeth naturally begin to yellow a bit more. At Cosmetic Dentistry Center in Newton, MA, we offer both in-office and at-home whitening treatments that will brighten your smile many shades from where it is today. Other cosmetic services offer at our practice include porcelain veneers, dental bonding, dental crowns, and dental implants. Teeth whitening works on stains in the enamel. When you eat a cup of raspberries, for instance, the deep red can penetrate your enamel as you chew. Most of the red washes away with your saliva, but some can stay in the enamel. Over time, these stains add up and your teeth become dingy and dull. Dr. Edward Walk promises to brighten your smile and improve your confidence. Am I a Good Candidate for Teeth Bleaching? If the stains on your teeth are mainly due to food and drink, our Cosmetic Dentistry Center teeth whitening works extremely well, returning teeth to their normal brightness. However, if your teeth are stained on the interior, the dentin, from a drug reaction or trauma, teeth whitening cannot remove these stains. That is because the peroxide whitening agents cannot penetrate into the dentin layer of the teeth. Instead of teeth whitening, interior tooth stains need to be covered with either dental bonding or porcelain veneers, both of which we offer at Cosmetic Dentistry Center. Every person’s enamel has a slightly different shade. Also, some people have enamel that is more porous, which makes the teeth more prone to staining. As we age, our enamel thins and more of the dentin layer beneath begins to show itself. This is why our teeth become more yellow the older we get. Drugs — In the 60s and 70s tetracyclin was a heavily used antibiotic, especially with children. Unfortunately for many kids, it permanently discolored their teeth. Teeth whitening uses a bleaching agent, usually hydrogen peroxide, to remove these stains in enamel. It works in a similar fashion to how detergent loosens and removes stains in clothing. The teeth whitening agent penetrates the enamel, just as the stain did, and it breaks down the stains. They are then washed away. Teeth whitening can whiten teeth from three to eight shades, usually returning teeth closer to their original natural, bright, white color. Under our enamel is the dentin layer of our teeth. The dentin cane become stained from reactions to drugs such as tetracyclin and from trauma to a tooth. Unfortunately, despite what you hear claimed from less-than-ethical dentists, staining in the dentin cannot be whitened through teeth whitening. The only way to lighten dentin stained teeth is to cover them with porcelain veneers or dental bonding. At Cosmetic Dentistry Center, we offer both in-office and at-home whitening. They achieve similar amounts of whitening. Our Zoom! in-office whitening takes about an hour, while at-home whitening takes one half-hour a day for about two weeks. Our Zoom! in-office teeth whitening begins with a cleaning of your teeth and gums. Then we place a protective barrier over your lips and gums to avoid contact with the whitening agent. Next, we paint the hydrogen peroxide whitening gel onto your teeth, and we activate the gel with a special light. The gel is left on the teeth for about fifteen minutes and is then removed. This process is repeated three to four times. After the gel is removed for the last time, we apply a sensitivity-reducing fluoride paste/gel to your teeth. Our Zoom! in-office whitening can whiten your teeth up to eight shades in around one hour. If you opt for in-home whitening, we begin by taking impressions of your teeth to use for the creation of customized whitening trays. These custom trays with ensure a tight, yet comfortable, fit to maximize the contact between your teeth and the whitening gel. When your trays are ready, we provide you with syringes of carbamide peroxide gel (a much weaker strength than our Zoom! in-office gel) and give you thorough instructions on the home whitening procedure. At home, you syringe the whitening gel into the bleaching trays and then fit the trays onto your gums. You wear the trays for 30 minutes to one hour every day for one to two weeks, depending on the degree of whitening needed. How Long Is The Teeth Whitening Process? Our Zoom! in-office teeth whitening takes about one hour. At-home whitening with our custom trays and professional-strength whitening gel involves wearing the trays for around 30 minutes daily for one to two weeks. Are The Results of Teeth Whitening Permanent? There is no “set” duration for how long your teeth will stay bright and white. If your teeth became stained by coffee or red wine, they will likely become stained again. But you don’t have to give up that glass of red wine — when you feel your teeth are becoming a little dingy again, simple come back in and we’ll whiten them again. Or, if you have the at-home trays, we’ll resupply your whitening gel. It can be hard to keep your teeth from staining over time, especially if coffee or red wine is your vice. However, home hygiene can make a difference. Using whitening toothpaste (ADA approved, of course), and brushing for two minutes twice daily is important. Plus, coming in for twice-yearly professional cleanings with the team at Cosmetic Dentistry Center is equally important to keeping your teeth at their whitest. Will My Teeth Be Sensitive After Teeth Bleaching? Because teeth whitening agents penetrate the enamel of your teeth, your teeth can be a little sensitive to hot and cold foods and drinks for a brief period of time. However, that sensation typically passes within a day or two. If you have particularly sensitive teeth, be sure to tell us! We can desensitize your teeth with potassium nitrate or calcium phosphate before we perform the whitening. If you want to have a smile that brightens a room, or simply want to return your teeth back into the shiny white pearls they once were, consider visiting Cosmetic Dentistry Center. Contact our Newton, MA office today at (617) 965-7673 to schedule your teeth whitening consultation today.